Are You Taking Advantage of these Free Resources for Vet Entrepreneurs? Bunker in a Box was created by The Bunker, and it’s the ultimate source of thought leadership from top entrepreneurs and veterans around the U.S. The short and simple online mini-course in veterans entrepreneurship is divided into 14 “missions” created around the themes of INSPIRE, EDUCATE and CONNECTION The missions include topics such as confidence to be an entrepreneur, thinking like an entrepreneur, testing hypotheses, and working on a venture as a team, plus many more. Each lesson has a short video from the Bunker team, as well as relevant third-party articles, interviews, podcasts and presentations from prominent entrepreneurs and experts. The Entrepreneurship Bootcamp for Veterans with Disabilities (EBV) is a free training program for post-9/11 veterans with a service-connected disability. Offered by Cornell, Syracuse, Florida State, UCLA, Texas A&M, Purdue, UConn, LSU, Saint Joseph’s, and the University of Missouri, the program is sponsored by Institute for Veterans and Military Families (IVMF) at Syracuse University. The novel, one-of-a-kind initiative is designed to leverage the skills, resources and infrastructure of higher education to offer cutting-edge, experiential training in entrepreneurship and small business management. The 30-day, instructor-led curriculum is taught online, followed by a 9-day in-residence session at the university. Participants also receive follow-up support and mentoring after the program. The program runs from March through November each year. While all of the costs are covered for qualified participants, the opportunity is on a first-come, first-served basis. Since 2012, Patriot Boot Camp (PBC) has been on a mission to assemble and activate an inclusive community that advances veterans and military spouses in their mission to become creators, innovators, and entrepreneurs leading the new economy. PBC’s core program is an intensive 3-day technology entrepreneurship boot camp modeled after the Techstars accelerator to provide educational training and 1:1 mentoring to inspire and advance startup founders. PBC runs this program twice per year, in Texas and Colorado, for cohorts of 50 tech entrepreneurs. The StreetShares Foundation mission is to inspire, educate and support veteran small business owners. The non-profit foundation gives away $10,000 in veteran business grants to veteran or military spouse entrepreneurs each month. First, second, and third-place awards of $5,000, $3,000, and $2,000 are awarded, and applications may be submitted at any time. VetToCEO offers a free 7-week online program called “Entrepreneurship for Transitioning Warriors” through a series of modules that cover everything you need to start your business. Lessons are recorded for later viewing in case you miss one. A full course outline can be found here. Veterans can join the program at any time through a simple registration process in a rolling enrollment model. Enrollment is free for veterans and transitioning military members. Your local Veterans Business Outreach Center (VBOC) is a good resource for training, counseling and mentoring, and also provides transition assistance programs via Boots to Business Program. The Veteran Entrepreneur Portal (VEP) is hosted by the VA and offers resources on starting, financing, and growing a business, in addition to government contracting opportunities. VEP makes it easier for small businesses to access federal services, regardless of its source—and quickly connects Veteran entrepreneurs to relevant ‘best-practices’ and information. Many U.S. military veterans leave their service branch with skills and attributes necessary to succeed as veteran business owners. Often times, the main roadblock for these entrepreneurs is financing their new mission: to become a veteran business owner or a service disabled veteran business owner. If you’re looking to start or expand your business, there are a number of financing options available. Start with the Department of Veterans Affairs’ Veteran Entrepreneur Portal. The website features all things related to veteran entrepreneurship, including a customized wizard that will identify financing resources to support the start-up, development, or growth of veteran owned small businesses. The U.S. Small Business Administration created the Military Reservist Economic Injury Disaster Loan to offer very low-interest loans to help reservists rebuild their businesses after serving their country. Reservists who are also business owners have to balance those two responsibilities in addition to their families. This loan is limited to businesses that the SBA determines would be unable to recover without government assistance. Another SBA program designed to serve a particular subsection military veterans is the Service Disabled Veteran Owned Small Business Program. 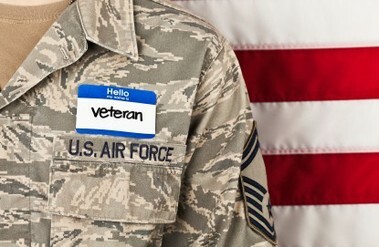 Veterans with a service-connected disability who are principal owners of a small business may be connected with sole-source government contracts of up to $5 million. StreetShares offers a loan platform where investors compete in an online auction format to fund different portions of an applicant’s business loans. The investor that offers the lowest interest rate “wins” the agreement. StreetShares’ non-profit foundation has partnered with JP Morgan Chase to commit $10,000 per month in awards to eligible reserve or active-duty service members and military veteran small business owners. Three winners are chosen monthly to split a $10,000 prize based on the merits of their business plan and the potential impact of the business on the military and veterans communities. Non-profit Accion Veteran-Owned Business Loans provides loans up to $1 million, depending on the business’ need. Accion is often able to fund loans for veteran business owners who may not be eligible for commercial loans. VAMBOA, the Veteran and Military Business Owners Association, is a non-profit trade association that promotes and assists Veteran Business Owners, Service Disabled Veteran Owned Businesses (SDVOB) and Military Business Owners by providing networking, collaboration, mentoring, education, certification and advocacy. Membership is free. 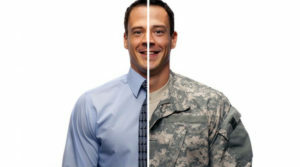 American Corporate Partners is engaged in national corporate career counseling for returning military. The non-profit connects veterans to business leaders for mentorship and career advice. BusinessUSA provides users with an interactive questionnaire that guides them to the most relevant federal, state, and local services, tools, trainings, and opportunities, assisting in starting or expanding a veteran owned small business. DVBE, the Disabled Veteran Business Alliance, empowers, provides resources to, and works side-by-side with disabled veterans to promote and support them in establishing, maintaining and growing viable business enterprises. EBV Foundation’s Entrepreneurship Bootcamp for Veterans with Disabilities offers training in entrepreneurship and business management to post-9/11 veterans with service related disabilities. Federal Business Opportunities is a portal for all businesses, not just vet owned, looking for active federal contracting opportunities. Honor Courage Commitment, Inc. provides resources such as grants, scholarships and a fellowship program to veteran entrepreneurs, designed to build leadership qualities. Institute for Veteran and Military Families provides a wide variety of resources geared towards military veterans re-entering the workforce or looking to start their own businesses. National Veteran Business Development Council (NVBDC) is the nation’s leading third party authority for certification of veteran owned businesses of all sizes. National Veteran Small Business Coalition supports veteran owned small businesses by promoting policies that encourage participation of veteran owned businesses in federal contracting opportunities. Patriot Boot Camp focuses on helping active duty military, veterans and their spouses build technology companies. The three day event provides participants with free education, training and mentorship. SDVOSBC , the National Center for Veterans Institute for Procurement, Veterans Business Outreach Center (VBOC), and Leveraging Information and Networks to Access Capital (LINC) . Streetshares brings together business owners in search of funding and investors looking for both financial and social returns. 21 Gun Salute Initiative supports service-disabled veteran owned businesses with the goal of reserving 3% of contracts for service-disabled veteran owned small businesses. VetBiz is a VA website that provides information about the Center for Verification and Evaluation’s verification process for veteran owned businesses looking to gain eligibility for the VA’s Veterans First Contracting Program. VetBizCentral is a veteran run site that assists veteran and active duty military entrepreneurs through training and counseling, networking opportunities, mentoring and advocacy. Veteran Entrepreneur Portal provides access to a number of business tools and services, from business education to financing opportunities. Veteran Fast Launch Initiative provides mentoring and training, along with free software and other services, to military veteran entrepreneurs. Veteran Women Igniting the Spirit of Entrepreneurship provides resources, courses and mentorship to female veterans who have started businesses or are looking to do so. Vetrepreneur Mentoring provides mentoring services to help veteran entrepreneurs with everything from contractor registration to website creation. Victory Spark is an accelerator program focused on startups led by U.S. military veterans. The program includes a 12-week mentor-driven Lean LaunchPad Program, along with grant funding for entrepreneurs who complete the program. Entrepreneurship for Transitioning Warriors is a program offered by non-profit VetToCEO. The free 7-week online program is comprised of seven two-hour modules that give you the basics of starting your own business. With rolling enrollment, veterans can join the program at any time. Entrepreneurship Bootcamp for Veterans with Disabilities (EBV) is a free training program for post-9/11 veterans with a service-connected disability. This program is offered through a consortium of universities including Cornell, Syracuse, Florida State, UCLA, Texas A&M, Purdue, UConn, LSU, Saint Joseph’s, and the University of Missouri. EBV consists of an online, instructor-led 30-day curriculum, followed by a 9-day in-residence session at the university. EBV programs run from March through November each year on a first-come, first-served basis. Patriot Boot Camp is geared towards technology entrepreneurs. Attendance at PBC is encouraged if you’re considering a tech startup. PBC is free to veterans, active-duty members, and spouses. Bunker Labs offers the Bunker in a Box program, an online mini-course in veterans entrepreneurship. Lessons feature a short video from the Bunker team, as well as articles, interviews, podcasts and presentations from prominent entrepreneurs and experts. StreetShares Foundation is the non-profit arm of the military social lending platform, StreetShares. The foundation staff selects 5-10 finalists each month, based on: business idea, product-market fit, team and company history, use of award funds and potential impact, and influence of the business on the military and veterans community. First, second, and third-place awards of $5,000, $3,000, and $2,000 are awarded. The Veterans Business Outreach Center (VBOC) is a good resource for training, counseling and mentoring, and resource referrals. VBOCs also provide transition assistance programs via Boots to Business part of the military’s formal Transition Assistance Program, offered on military installations around the world. Boots to Business assists service members, military spouses and veterans identify business opportunities, draft their business plans, and launch their enterprises. Other programs supported by OVBD are geared specifically for women veterans, service-disabled veterans, and veterans interested in federal procurement. Many military veterans are successful entrepreneurs because of the leadership qualities honed during their service. There are numerous resources available to help veteran owned businesses as they start up and grow. StreetShares is a social-lending marketplace that connects small business owners with investors. On the StreetShares marketplace, business owners pitch their stories directly to retail and institutional investors, who then place bids to fund a portion of the business owner’s requested loan. The General Services Administration’s program to support service-disabled veteran owned businesses is known as the 21 Gun Salute Initiative. The 21 Gun Salute was created with gratitude for the injured soldier turned businessperson. The Salute is an action plan to meet and exceed the 3% contracting goal with the nation’s service-disabled veteran-owned small businesses. This non-profit organization offers veterans tools for long-term career development through mentoring, career counseling, and networking opportunities. The goal of the Bunker is goal is to launch and accelerate veteran-owned businesses, channel the energy among veterans to become entrepreneurs and business owners, and create a new forum for high-performing veterans to meet and collaborate. The BusinessUSA Veterans Resource tool is an interactive guide to help veteran business owners find the most relevant federal, state and local tools to help start and grow their businesses. Boots to Business is an entrepreneurial education and training program offered by the U.S. Small Business Administration (SBA) as part of the Department of Defense’s Transition Assistance Program (TAP). The curriculum continuum includes steps for evaluating business concepts, the foundational knowledge required to develop a business plan and information on SBA resources available to help access start-up capital and additional technical assistance. The EBV National Program offers cutting-edge, experiential training in entrepreneurship and small business management to post-9/11 veterans with service-connected disabilities as well as to military family members who serve in a caregiver role to a veteran with a service-connected disability. The program is offered at no cost. The foundation provides grants to graduates of the program and help with business plan development. The Federal Business Opportunities website provides a portal for businesses looking for active federal contracting opportunities. While not restricted to veteran owned businesses, it can still be a useful resource for finding opportunities. HCC provides resources and empowerment to veteran entrepreneurs including grants, scholarships and a fellowship program designed to build leadership qualities. HCC trains and positions military veterans to become successful entrepreneurs, business and community leaders by maximizing veteran talent. A program of Syracuse University, IVMF is the first interdisciplinary national institute in higher education focused on the social, economic, education and policy issues impacting veterans, and provides a wide variety of resources for military veterans. There are numerous resources for veterans re-entering the workforce or looking to start their own businesses. The National Veteran Business Development Council (NVBDC) is a nonprofit 501(c)3 organization that will act as the certification body for Veteran Owned Businesses (VOB) and Service Disabled Veteran Owned Businesses (SDVOB) to ensure that credible documentation exists of a business’s Veteran status, ownership and control. The NVBDC shall certify the validity of the VOB or SDVOB business seeking opportunity in the Supplier Diversity initiatives made available to veteran owned businesses. This organization works to ensure that veteran owned small businesses are given first consideration for federal prime and subcontracting procurement opportunities. Members receive access to resources related to federal contracting. Patriot Boot Camp is an accelerator program focused on helping military veterans and their spouses become successful technology entrepreneurs. Open to all active duty military members, veterans and their spouses, the main program is a 3-day event that provides participants with free education, training and mentorship. The SBA offers resources for service-disabled veteran owned businesses looking to procure federal contracts. The SDVOSBC program allows procuring agencies to set aside contracts specifically for veteran owned businesses. The VA’s VetBiz site provides information about the Center for Verification and Evaluation’s efforts to verify Service-Disabled Veteran-Owned Small Businesses (SDVOSBs) and Veteran-Owned Small Businesses (VOSBs). SDVOSBs and VOSBs who want to participate in the VA’s Veterans First Contracting Program must be verified by CVE in order to be eligible for VA contract set-asides. VetBizCentral is a veteran run site that assists veteran and active duty military entrepreneurs in the formation and expansion of their businesses through training and counseling, networking opportunities, mentoring and advocacy. The SBA provides assistance locally through Veteran Business Outreach Centers. The centers assist veterans in locating resources in their local communities, such as such as business training, counseling and mentoring. As part of the VA’s Office of Small and Disadvantaged Business Utilization, the Veteran Entrepreneur Portal provides access to a number of business tools and services, including starting and expanding a business, acquisition support, strategic support and more. The Veteran Fast Launch Initiative is a package of free software and services combined with SCORE’s mentoring program in order to help accelerate the ability of veterans and their families to start and succeed as small business owners. Vetrepreneur Mentoring provides mentoring, guidance and expertise to help veteran entrepreneurs with everything from contractor registration to website creation. 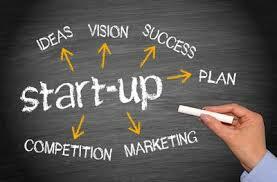 Victory Spark is a program of the larger Global Entrepreneurship Collective, Inc. umbrella. Specifically, Victory Spark focuses on servicing U.S. Military Veteran-led startups. The program includes a 12-week mentor-driven Lean LaunchPad Program, along with grant funding for entrepreneurs who complete the program. An entrepreneurship project of the Whitman School of Management, Veteran Women Igniting the Spirit of Entrepreneurship (V-Wise) provides resources, courses and mentorship to female veterans who have started businesses or are looking to do so.